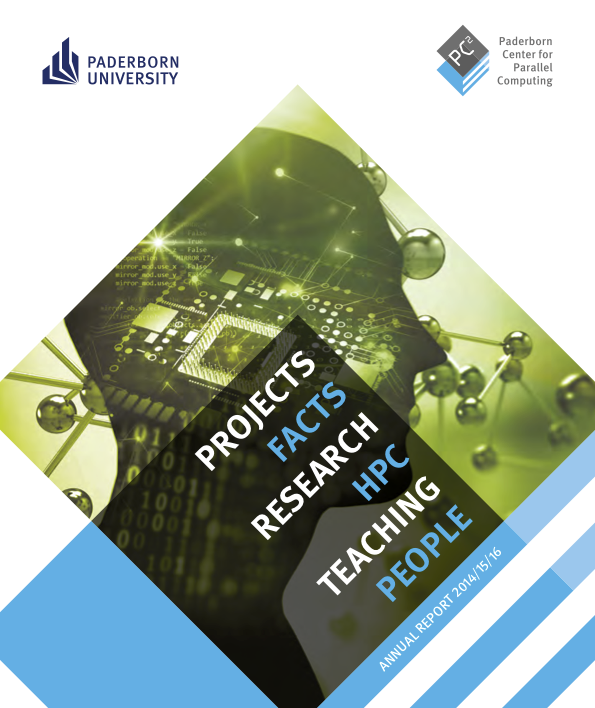 It is our pleasure to present you the latest research and service report of PC². The format and contents of the report have been redesigned from the ground up. Our mission was to present you the exciting research that is enabled by our high-performance computing systems and services in a fresh and easily accessible way. The report also offers you the opportunity to look behind the scenes and learn more about our computing infrastructure, our innovative computing systems research, and the motivated team that makes almost anything possible. The report is available for download. We will also be glad to send you a paper copy while supply lasts.